All machined to order. Minimum orders apply. 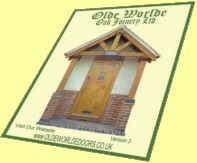 © Copyright 1999-2009 Olde Worlde Oak Joinery Ltd. All Rights Reserved.